Oh she's sweet! Such a cute little face. There is so much going on in her eyes. Very expressive. Have fun at the festival. It sounds like quite an adventure. Lily is just beautiful Stacy. I love how you descibe her smile making your heart flutter, what a wonderful statement. The festival you are going on sounds like a lot of fun. We have Sandhill cranes here too, but I don't think as many as you. OH what a beautiful little girlie, Lily is PRECIOUS! 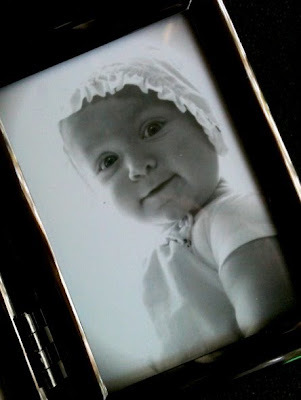 I adore bonnets and always had one on my little girl! 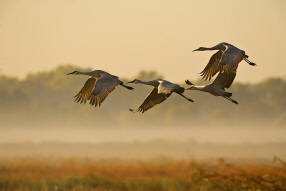 I do remember your trip to see the cranes last year:) Have a blessed Sunday, HUGS! Is she going trick & treating??? She is just so precious! I love the vintage look of the bonnet. Can't wait to see photos from your Crane visit.